Motorola has launched today its budget smartphone in India, Moto C. Priced a Rs. 5,999 this phone will be available in Pearl White and Starry Black across India from today in leading retail stores in more than 100 cities. 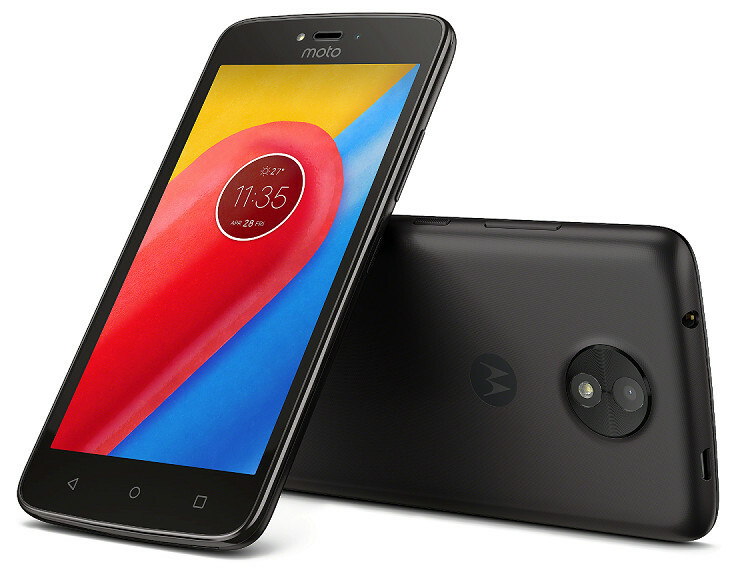 On the specifications front, the Moto C features a 5 inch (854 x 480 pixels) FWVGA display. It is powered by quad-core MediaTek MT6737M 64-bit processor clocked at 1.1GHz with Mali-T720 GPU. It comes with 1GB RAM and 16GB of internal memory which can be extended upto 32GB with microSD card. This phone is packed with 2350mAh removable battery. For photography, this phone comes with 5MP auto focus rear camera with LED Flash, digital zoom with 720p video recording capability and also houses 2MP front-facing camera with selfie light and fixed focus. This phone supports Dual micro SIMs and runs on Android 7.0 (Nougat). It also offers other connectivity options of 4G VoLTE, WiFi 802.11 b/g/n, Bluetooth 4.2, GPS and FM Radio. This phone has dimensions of 145.5 x 73.6 mm x 9 mm and its weight is 154g.